Join Jillian and her guest Nancy Zick of Healing Grace housed in the beautiful CATHE Center in Burlington, Wisconsin. Healing Grace offers a variety of services to help you restore your mind, body and spirit. Nancy Zick, LMT, offers the choice of Swedish Relaxation Massage, Therapeutic Massage, Thai Yoga Massage, Reiki and Holistic Mentoring. Varied types of meditation classes are also offered. Nancy Zick is a nationally certified massage therapist who is licensed by the State of Wisconsin. She graduated from Wisconsin Institute of Natural Wellness in June 2008. Her core training included Swedish Massage, Reiki, Shiatsu, Tui Na and Thai Yoga Massage. She was also taught the basics of T’ai Chi, Yoga and Meditation. Other accomplishments include level one in Cranio-Sacral Therapy through the Upledger Institute and levels one and two in Thai Yoga Massage through Lotus Palm. Nancy has always believed in a holistic approach to healing. 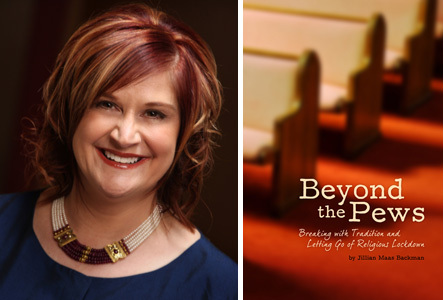 Her faith and her passion for following her purpose in life have led her to be grounded in her Christian beliefs while embracing the truths from other spiritual paths. Believing that Christ truly showed us how to live our lives with compassion, understanding and love, she aspires to be a living example of this.